Great Layout in the 'Q'. 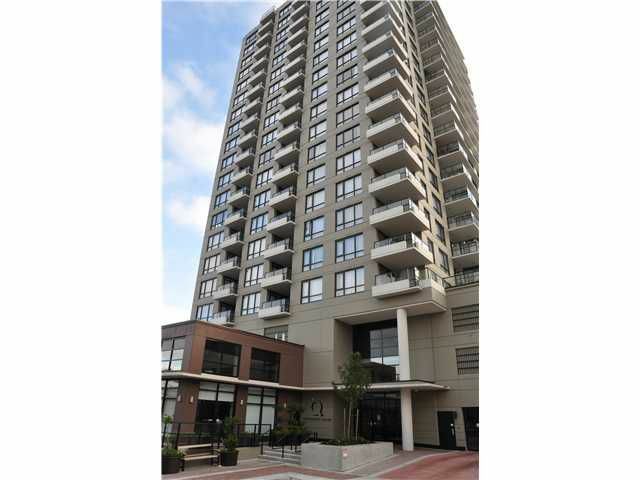 SW corner unit with spectacular river and sunset views featuring an open plan with no wasted space. The chef's kitchen features granite countertops, stainless steel appliances including a gas range and built-in microwave/hood fan as well as generous cabinet and drawer space. Other features of this unit include an electric fireplace, large balcony, built-in sound system and a spacious master suite as well as 2nd bedroom. Located just steps from the shuttle bus stop which runs every 15 minutes during peak times to take you to the Skytrain station and within walking distance to the Quay. Unit comes with one parking spot. Open house Sunday, June 19th 2-4pm.